If you've tried to clear your Google Chrome's browser cache as per the link here and you're still having problems, you can try to clear the internal host cache. Note: Only do this if you can use our service on a different browser but not on a Google Chrome. 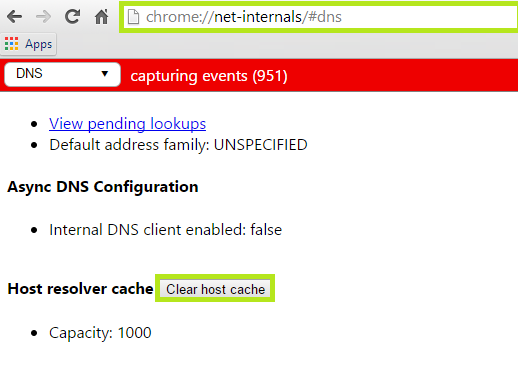 You should now able to see a button called Clear Host Cache, click on it and restart your computer.